Learn the foundational basics of the Chito-Ryu style of Karate-do. This intensive workshop is designed especially for beginners and new students. Throughout the workshop you will cover all of the basics required for the first few gradings and it’s a great way for anyone to get started with a study of Chito-Ryu Karate, but it is also a good opportunity for students who have been training for a while to review and further refine their basics too. Register NOW to attend the workshop. Attend all weekend beginner workshops throughout February & March for no additional cost. The workshop is open to people of all ages (4 years – adult). There will be two different session times depending upon the age of participants: Little champions (4-7 yrs) will be in one session, everyone else (8yrs – adult) will be in another session. On the day of the workshop attendees will be further divided into groups within each session based on age and ability to ensure that all students gain maximum benefits from the training provided. Session times may vary a depending up which workshop date you choose, check below for details. Where: Sunshine Coast Karate, Maroochydore Dojo. Cnr Depot St & Progress Rd (Across the road from Energex). If you want time to get changed into your new karate uniform arrive 15 minute prior to the start time. 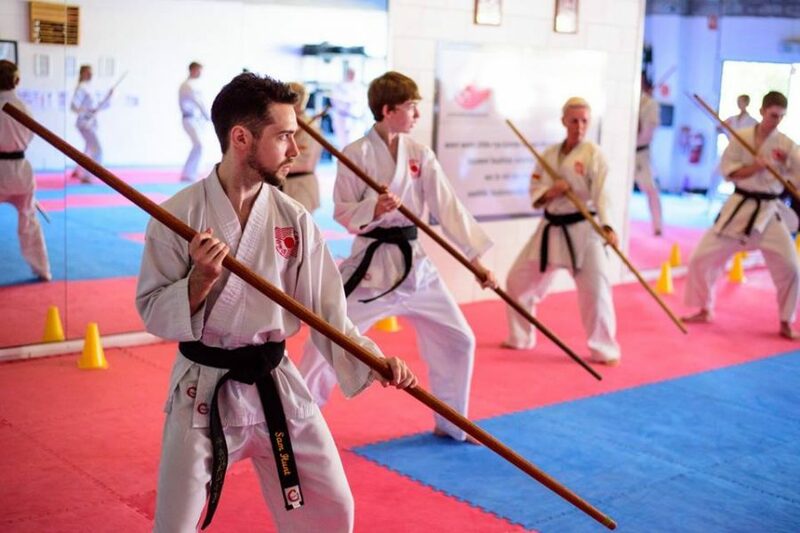 Before you make your mind up about whether or not Sunshine Coast Karate is the right place for you to get started on your karate journey, read what some of our members have to say about us. 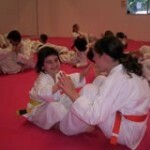 “Finding the right Dojo for our then 5 year old daughter involved visiting all the Dojo on the Sunshine Coast, talking to the Sensei and other members. We were very impressed with the overall quality of the facilities, training equipment and all the staff at Sunshine Coast Karate. Their Admin/Manager is like a second mom to all the young people there and is always available to answer endless queries from parents, provide support and guidance when necessary and offer just the right amount of support, kindness and praise to all the members. Our daughter has now been attending for 18 months and we have yet to experience any dissatisfaction in any way whatsoever. She is thriving under their care, training and supervision. Colin’s daughter (far left, front line), working hard in our Little Champions class. 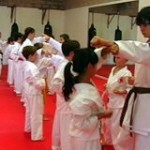 “Like many, we looked to martial arts as a method to assist with our child’s development. 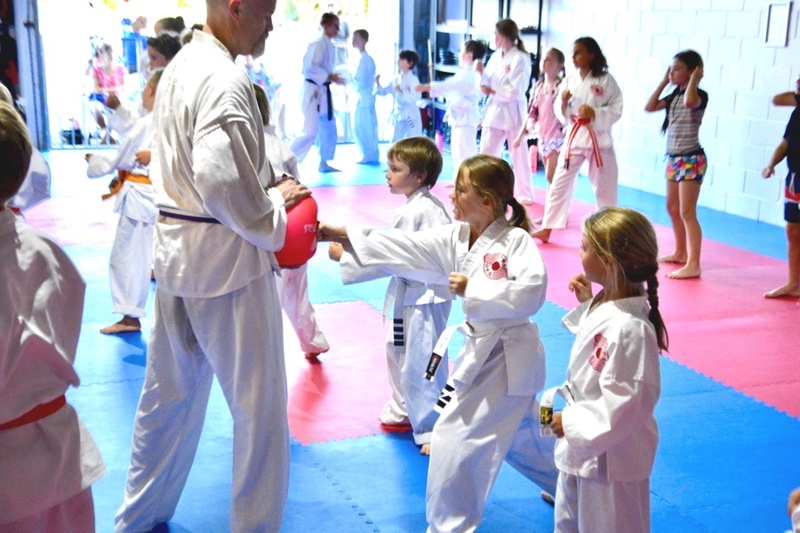 We looked at quite a few martial art forms and karate styles and Dojo on the Sunshine Coast. In the end the decision, a little over two years ago now, to begin our son’s Karate journey with Sunshine Coast Karate, was made because of the family oriented, professional environment we witnessed. Plus, and a big plus, the smiles on the kids faces, who were in the classes we watched, whilst making our call. Chito-Ryu at the Sunshine Coast Karate Dojo has become entrenched in our family now, with all of us attending classes , enjoying the challenges and the journey. We’ve made some great friends , had some seriously fun times, got fitter and stronger and above all, have had no second thoughts. 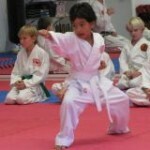 Rod’s son Luc, in action at a recent karate tournament.